sometimes you choose the light. 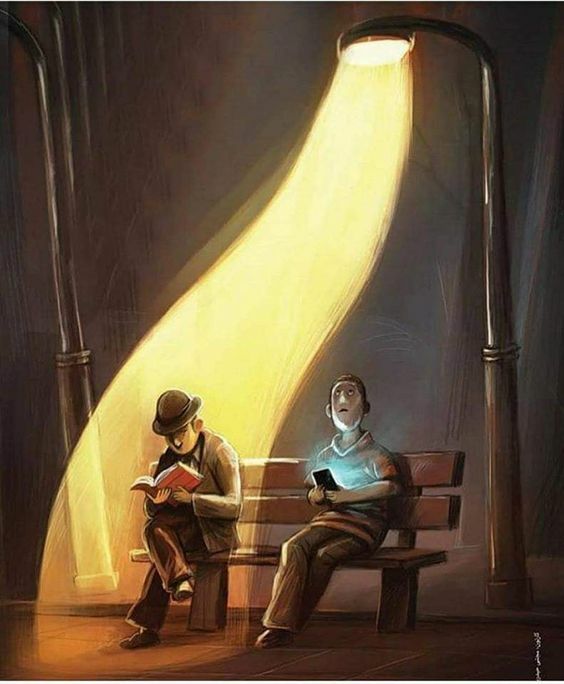 Book Knowledge is Brighter than a Mobile phone Brightness..!! Light in enlighted ; light out confused : Reading illuminate the mind while technology whether mobile, tab…..lead to confusion and dementia if not properly used. That Narnia lamp needs LED’S replaced. The breath of knowledge gained from books is far wider than the information learned from devices.